If your body mass index (BMI) is over 27 & you’re facing severe health risks. If your BMI is over 30. If you are a patient with serious negative health effects such as those with high blood pressure, diabetes, high cholesterol. If you cannot who cannot control their weight with exercise and diet alone. How does medical weight loss pills work? While medical weight loss pills are prescribed, they should never be used as a substitute for healthy eating and exercise. Although, for safe weight loss it is recommended that one to two pounds of weight can be lost safely using medical weight loss pills, and that a patient may lose 5 to 10 percent over a twelve month period, it can vary with each patient. Are Medical weight loss pills effective? Medical weight loss pills may not be the most effective for everyone, that is why at Kitsune we analyze each patient to provide the best solution. Since you may lose 5 to 10 percent of total body weight in a year with medical weight loss pills, you can improve your health by decreasing blood pressure, and cholesterol, and increasing insulin sensitivity. Abidexin: Contains all natural ingredients as well as plant extracts. The all natural ingredients makes this pill easier to digest, and safer reducing the risks of side effects. Liponox: All natural ingredients, there has been no reported adverse effects when this product is taken as instructed. Sellers Kit Including: Abidexin, Liponox, and Obesitrol each contains a 30 day supply and will help you lose weight throughout a 3 month span. Most weight loss pills may cause side effects such as pulmonary hypertension which could be a fatal disorder but with Kitsune you will be working side by side with a doctor, who will be tracking your medical conditions throughout the process. Kitsune can safely help you reach your weight loss goal quickly. HCG stands for Human Chorionic Gonadotropin. It is a hormone produced during pregnancy, it is mainly used to treat infertility issues. It is a key hormone in lipid metabolism which refers to the body’s fat burning system. This diet recommends serious calorie restriction of about 500-800 calories a day and is paired with an injection but our doctors may change the calorie count for each patient’s needs. You may experience weight loss of 1 pound per day. HCG injections reduces the feelings of hunger making the calorie restriction easier to follow and keeps you from losing muscle while you diet. These are important because you will feel more comfortable eating less and with such a dramatic weight loss, muscle tends to get lost as well but the HCG injection keeps you from losing your muscle. HCG for weight loss was discovered in the 1950s by British doctor Albert T.W. Simeons. During his time in India he realized malnourished women were still giving birth to healthy babies. This was happening because of HCG which created more hormones in order to make up for any deficiencies or lack of balance. For over 40 years patients have used HCG showing that it is safe and effective. Normally HCG diet consists of 3 steps, each phase and process can differ for every patient as every patient has different needs. Phase One also called HCG loading days. This stage lasts 2-3 days, throughout these days you are allowed to eat anything you want and as much as you desire. We encouraged you to indulge in your most favored foods that you’ll most likely miss during your diet. Including french fries, burgers, pasta, chocolate cake, and ice cream. Phase Two your diet begins. This stage begins on the third day along with your diet and lasts 20-21 days. You may now take your HCG at the time you have chosen as well as eat 500 calories per day. Recommended foods by the Dr. are fish, turkey, beef, and chicken, celery, spinach, asparagus, apples, oranges, grapefruit, and strawberries. Phase Three is also referred to as maintenance. You finish your HCG intake but continue the 500 calorie diet for another three days. This is to assure that any HCG is out of your system. After the three days, you may begin to increase the amount of calories you eat. Our doctors and dietitians will guide you throughout each phase of our HCG medical weight loss program. It gives importance to prevention, treatment, and the greatest health with the self-healing process through the use of natural therapies. Our Naturopathic physicians take the whole person into account, meaning they focus on the person’s physical, mental , social, genetic, and environmental factors. They specialize in treating factors that contribute to weight loss such as: promoting proper digestion, recognizing lack of nutrients, detoxification of heavy metals and more. 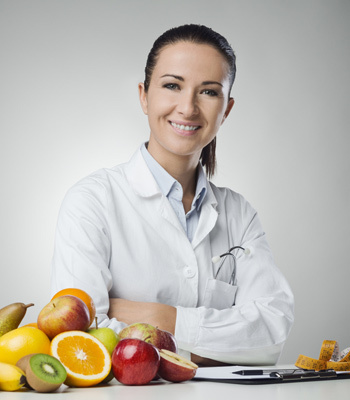 The correct nutrition is important for our Miami weight loss diet and our doctors give comfort to each patient by working closely together and taking any health conditions into account before handing a medical weight loss solution. Vitamin B12 is a water soluble vitamin that is usually prescribed to patients with pernicious anemia because it helps form red blood cells and maintain the central nervous system. Once the body uses the vitamin, any extra amounts are extracted through urine. Vitamin B12 injections are said to give you an energy boost as well as a boost in your metabolism. Patients are said to have improved sleeping patterns and a feeling of alertness. 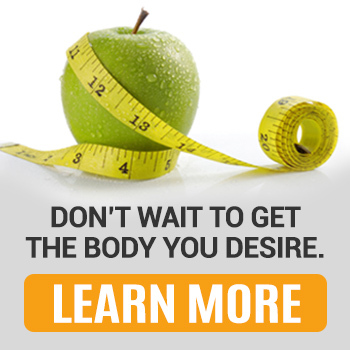 Our all natural medical weight loss plan includes quality ingredients to boost your health. This is not like any other weight loss plan you’ve tried because our doctors use ingredients based on your personal preference and medical conditions. Kitsune Weight Loss solutions will provide a perfect meal plan weekly! So you’ll never get bored of our foods. What sets us aside from typical weight loss options, is that we don’t only give you a quick way to lose weight but we teach you how to maintain your goal weight. While everyone is different, many patients who follow a vegan diet tend to lose weight right away, you may begin a vegan diet by introducing yourself to the new four food groups; grains, legumes, vegetables, and fruits. When you build your meals from these food groups weight loss becomes incredibly easy. Eating a vegan diet also improves high blood pressure, cholesterol and blood sugar for those who suffer from those conditions. For optimal weight loss, it is important to throw out foods that are high in fat and lack fiber. Foods that are full of fiber are great for losing weight and in eating a healthy diet. Again, our doctors will take into account each patient’s eating habits, metabolism, and body chemistry before assigning a food plan. Fiber: slows down the rate that sugars are absorbed into the bloodstream, cleans your colon, and makes you intestines move faster. Fiber foods may include: whole grain bread, brown rice, beans and legumes, fruits and vegetables, and certain cereals. With our Vegan medical weight loss solution, you can start losing weight right away! Our doctors will help you stay focused and on track throughout the process. Kitsune is the newest and fastest way to lose weight. It doesn’t matter if you are 80 lbs or 10 lbs overweight, Kitsune will work with you. Kitsune will provide you with a medical weight solution that will not interfere with any existing medical conditions. Our certified nutritionist and Doctors can help you come up with a healthy eating plan that fits your lifestyle, tastes and body type. Effective nutrition plans may includes: fruits, vegetables, whole grains, low fat milk or fat free milk, lean meats, fish, poultry, beans, nuts, and eggs. Our plan will stay within your daily calorie needs. If you have high cholesterol or blood pressure we will be sure to create a healthy plan that is low in trans fats, saturated fats, cholesterol, added sugars and sodium. We will set you up for success and help you make better choices through healthy eating tips, and moderating the quantity of your food. Instead of buying over the counter weight loss solutions that have potential health risks, Kitsune offers medical weight loss solutions just for you with qualified nutritionists. Kitsune Medical Weight Loss is a specialized program in which we analyze your weight, body fat, and blood pressure before creating a weight loss solution, which is why it is only offered at Fox Medical Center. We understand how tough it could get to stay on a diet or weight loss plan on your own but with Kitsune, you are not alone. Our doctors will guide and encourage you every step of the way.